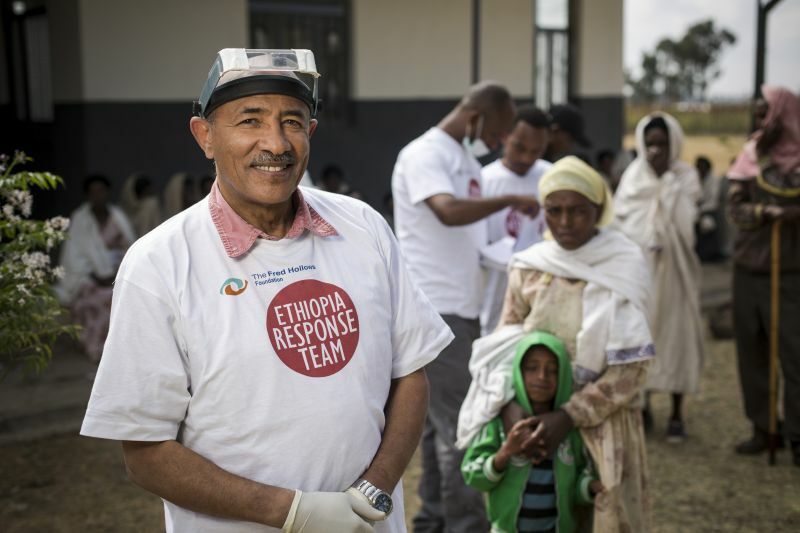 This morning I’m speaking to Dr Wondu Alemayehu, an eye surgeon based in Addis Ababa, to talk about his collaboration with The Fred Hollows Foundation on a project to eliminate trachoma from Oromia - a region of Ethiopia which, with a population of 34 million, is larger than many African nations. I have to look up the country dialling code, which strikes me as odd. I generally know them all by heart after years of calling doctors around the world to talk to them about working in Australia. As it turns out, being a doctor from Ethiopia does make you a rare species by global standards. Being an ophthalmologist puts you firmly on the endangered list. 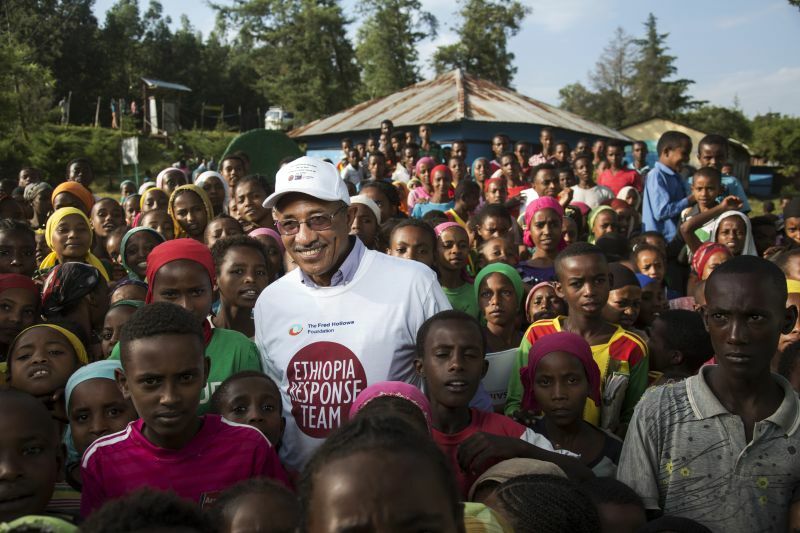 There are only 140 in the whole country - one eye surgeon for every 1.1 million Ethiopians. A graduate of Addis Ababa University, Dr Wondu finished off his ophthalmology training in the 1980s with a stint at Johns Hopkins University in Baltimore, training in Public Health Ophthalmology, where he built valuable international networks. Later he encountered Orbis International, a New York based NGO that fitted out an old DC10 as a flying hospital to bring eye surgery to the developing world. When Orbis built its first ground-based operation in Ethiopia, Dr Wondu was appointed the first director. I asked him how he came to know The Fred Hollows Foundation. His first encounter was during the 1990s while The Foundation was pioneering low cost cataract surgery work in Africa. “I was impressed with The Fred Hollows Foundations’ boldness and tireless effort. The organisation does not shy away from the biggest challenges,” he tells me. He was particularly impressed with their focus on results and pragmatic approach to building local capability. The respect was mutual, and when in 2012 The Foundation worked on a project to map the eye health situation in Ethiopia it was Dr Wondu who they partnered with. By then, cataracts were not deemed the major priority – it was trachoma, the world's leading infectious cause of blindness. Worldwide, this chlamydial infection of the eye is estimated to have left up to 1.2 million people with this potentially blinding and painful disease. It is endemic in more than 42 countries worldwide, including Australia, and tragically often affects mothers who contract it from their children. It is devastating to individuals, households and communities, and yet it is entirely treatable. This approach has proven to be effective and several countries have since declared themselves disease free. Sadly, Ethiopia is not yet one of them. The sheer scale of trachoma across Ethiopia is daunting. As of 2015 there was a backlog of 150,000 cases needing urgent surgery in the Oromia Region alone. With such a stark shortage of trained ophthalmologists in the country it was clear that a resourceful approach was needed. Dr Wondu and his team developed a strategy in collaboration with The Foundation to tackle the problem by enabling local resources. 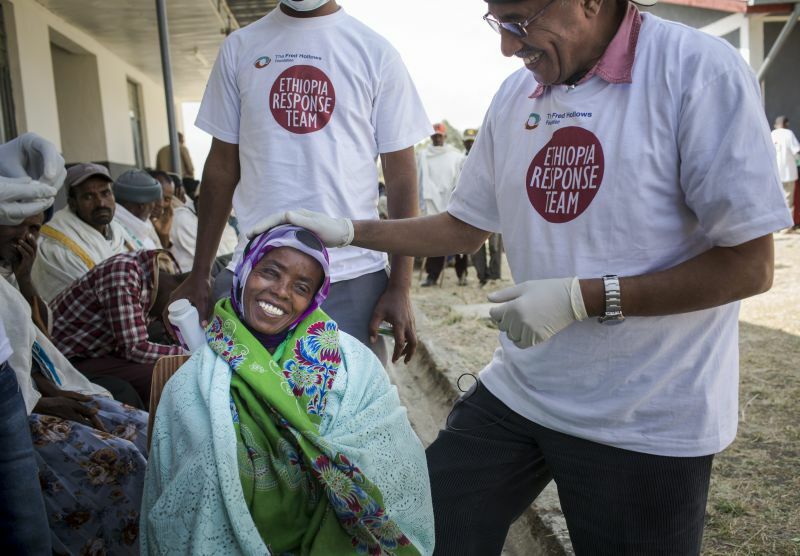 The Ethiopian Ministry of Health contributed funds, despite trachoma being seen as a non-lethal condition (and by no means the only serious illness endemic to the country). With this statement, I understand how he has managed to achieve so much in his career. Without this attitude such a goal could never be attained. With focus and positivity, it remains a real possibility. We even talk about what comes after trachoma, “There are many other causes of avoidable blindness in this country that need to be tackled.” It is clear that Dr Wondu is not one for resting on his laurels.